Jack Kerouac’s Book of Haikus (Penguin, 2003) functions as a literary collection but also as a collection of various contemplative perceptions, intuitions of Buddhamind. Kerouac joked that he possessed “a bear trap mind”. Once in, nothing got back out or faded away. 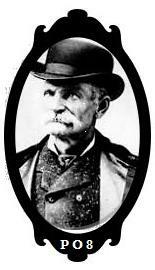 In his childhood he was given the nickname of Memory Babe in honor of his prodigious and precise recollections. More importantly Kerouac’s artistic skills selected and shaped his intuitions inside these memories. Kerouac’s novels were the most popular of his productions and they contain large blocks of vivid intuitive memories. His novels were constructed from his notebooks full of character and scene sketches—some entries written quite mundanely—and he improvised on and expanded these for his fictions. In his Paris Review interview  Kerouac made distinctions between composing a prose paragraph and a haiku. To Kerouac these two genres were different species of the same need to tell a story. In writing haiku he had different methods and principles. No good, don’t work, I reject it. Hah, that does it. No, it’s a little bit too long. See? Hey, that’s all right. I think “when” was the extra word. You got the right idea there, O’Hara! A sparrow, an autumn leaf suddenly—we don’t have to say “suddenly” do we? As Basho, Zen master of haiku, once wrote, haiku are by their nature intense moments of perception enacting or embodying “change in the universe” and so therefore haiku are contemplative acts. To write haiku you examine perceptions, ride with any responses until, as Kerouac explained, you “compress into three short lines a great big story.” In order to compress the writer notices what and where the essential elements are and where the gaps between those elements occur. Haiku writing for Kerouac was a meditation practice similar to sitting meditation where one notices the quality of one’s breath or similar to brush practice when one brushes a line of characters and notes where and how the white space interacts with the black ink. Suzuki here paraphrases Sakyamuni who said that Buddhism is “Direct pointing to the human heart”. Kerouac’s haiku comments and his haiku demonstrate that his practice was also similar to editing a movie where one distills the images into three photos or into three scenes, all irrelevancies or digressions pruned away. When this process of revision (to see again, literally) is finished, as in the Kerouac haiku, his original intuition on that windy Autumn day is embodied in the poem. Often there’s a gap where the matter at hand, or the first perception, abruptly and intuitively changes into a second perception. This principle of gaps or white space is a structural device that is essential for Japanese art and haiku. Abrupt or gentle or clowning changes embody the artist’s perceptions of the world, mind or self. Some lines may even be or become quotations from classic koans—the primary method for training Rinzai and Soto Zen priests. I would suggest that some of Kerouac’s haiku enacted basic Buddhist concepts and these concepts may be found inside his haiku’s intuitions, perceptions, gaps and changes. 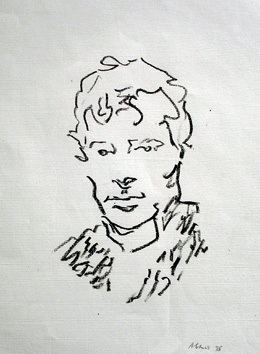 Kerouac explained how, among many Buddhist paths he explored, the haiku tradition of Zen connected with him. What’s really influenced my work is the Mahayana Buddhism, the original Buddhism of Gotama Sakyamuni, the Buddha himself, of the India of old. . .Zen is what’s left of his Buddhism, or Bodhi, after its passing into China and then into Japan. The part of Zen that’s influenced my writing is the Zen contained in the haiku, like I said, the three line, seventeen syllable poems written hundreds of years ago by guys like Basho, Issa, Shiki, and there’ve been recent masters. A sentence that’s short and sweet with a sudden jump of thought in it is a kind of haiku, and there’s a lot of freedom and fun in surprising yourself with that, let the mind willy-nilly jump from the branch to the bird. The haiku in Japanese has many structural principles. But one of the most important, usually, is a “cutting word” (what Kerouac calls “a sudden jump of thought”). This word has also been described as just a sound, such as ya! Something changes after that sound, and the reader has to make an adjustment. Suzuki quotes Basho’s famous poem to make this point. Furu ike ya! /Kawazu tobikomu, / Mizu no oto. The old pond, ah! /A frog jumps in:/ the water’s sound! The cutting word “ya!” functions in the cinematic sense of inserting a visceral signal or gap that results in a change. This works much like cinematic visual effects do. We now are quite used to these effects. Films may employ many signals for change such as a fade in, a fade out, a jumpcut or a matchcut. Nowadays we have a flashcut or swipecut, which is both a sound and a movement: say a swiping sound as if someone has erased a gritty chalkboard along with a grainy motion on the film stock. From these actions the viewers know instantly to reset their expectations as there will be a change: a new time, place or character. The gap in haiku (or what sumi brush paintings term “air strokes”) leaves blank or white space. D. T. Suzuki speaks of that white space in a composition as the unknown and that is the genesis for art. For my Buddhist texts in the previous commentary I used work that Kerouac read during his most intensive study of Buddhism, from 1953-1956. In this commentary on Kerouac’s haiku, I am going to rely mainly on writing by the Japanese Soto Zen master Dogen, because his unique poetic textures speak to Kerouac’s haiku. Kerouac never read Dogen, to my knowledge, probably because there was only one translation of his work available in English when he was doing his Buddhist reading. Here is a moment when Kerouac’s haiku manifests Buddhamind. From first word to last word no differentiation is made between matter or self in the haiku’s process of change between our actions and our salty selves, between our bodies as containers of briny water and the water itself. Self and non-self are seen as whole, in an instant of interpenetration. We are born and reborn in an instant without walls floors or roofs. Even inside this 98% water body we are thus simultaneously outside. Everyone holds a luminous jewel, all embrace a precious gem; if you do not turn your attention around and look within, you will wander from home with a hidden treasure. Kerouac captures that moment when the entire picture of ourselves that we carry around, confident that this picture is correct, certain that this image suffers no change, that our self-portrait is even unavailable to change, but whap! that picture changes. Sure I have a hat, oops no I don’t; well not with me; it’s at home. Or, more conceptually, if you don’t think so, so you think. Actually any picture of our selves has an absent component, one that involves loss. Loss is what we carry hidden inside. That loss is vast, so vast that loss is us fundamentally. Because that loss of self is never the loss of the personal us: this perception is big-time loss so limitless that we have no choice but to embody it by losing all boundaries of an I self, a we self, or a thing self. In short, inside is that brilliant luminous void called MU. The Buddhamind. Once you get this mind to appear, it is not even for sake of enlightenment that you seek enlightenment; this is the true mind of enlightenment. Without this mind, how can you really practice the way to enlightenment? This hilarious haiku revels in the idiocies of our devotional practice, how we invest in their illusionary abilities to claim merit. I assume this event occurred during Kerouac’s outdoor meditation sessions. Contemplate nature: get three times better, three hundred percent better, win the meditation lottery, sit in full lotus for three hours longer than anyone else in the zendo, get a butterfly to come to you and your flower. A triple dose of tautological self-satisfactions (My butterfly, my flower, my Sir Me) cancels out all ownership, ridicules all claims to self, and all samsara dissolves in a burst of laughter. Close observance of the ego, as the Dalai Lama remarked, is necessary at all times; which might be a compassionate variation of the Italian notion that it is more prudent to keep your enemies closer than your friends. Kerouac’s haiku humor and its mental velocity and sweep remind me of certain Zenga paintings. For instance, the Sengai painting of Shoki the Demon Slayer slicing a demon in half with a major league home run swing of his sword. 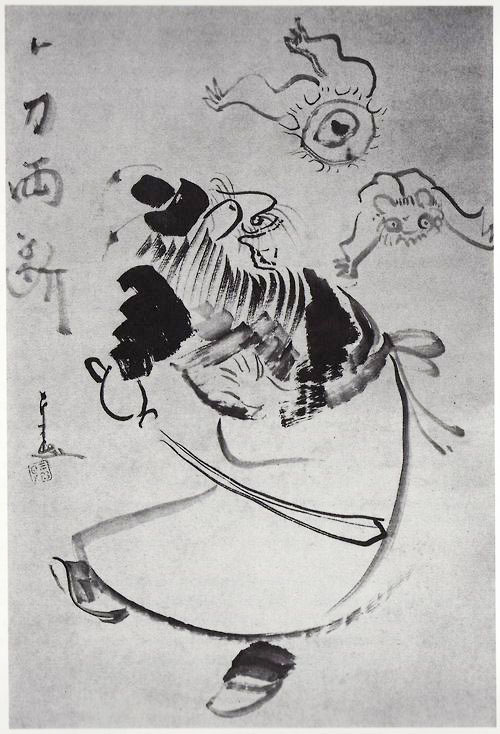 Delight and joy radiate in every ink stroke of his body and robe and sword outline; the two halves of the puzzled and alarmed demon fly off in different directions. The joke is on us: demon, Shoki, sword are all just flashes of energy. But someone’s got to do it, why not Sir Me! Whack! Sudhana went out and looked all over the earth, finding nothing that was not medicine. Sudhana brought a blade of grass. Kerouac, Book of Haiku, p 22. “The basis of art is change in the universe.” Basho on the nature of haiku. Here the change is of a commercial nature impinging on survival. Often it is a mystery to us why one thought or thing one day one hour one minute one second seems dangerous and the next time common or very helpful. Of course we construct rational explanations for our changes of heart and perspective and perception. Kerouac makes a joke here, “unencouraging” as in the store window sign states: Closed. So you cannot get your fish to eat that night because of a single word. Closed. Did you suffer during that moment of seeing the word Closed? Its presence Closed now a pain? Or accept the word Closed as one more defeat in a life full of them? A blade of grass cannot be eaten some days just as a Closed sign can’t bring food: one may die. Other days the blade of grass is medicine and the Closed sign is a prompt to do better, a corrective that you must come earlier for your fish. Mind like a fan in winter, body like a cloud in a cold valley, if you can see “doing it yourself” then you will see “who will do it”. When you don’t go by either of these routes, an iron wall stands steep and precipitous. Often what happens has nothing to do with us. But some actions stick around in our minds. We may watch someone do something while obviously hoping to share some mutual advantage or pleasure or reward they receive for their actions. Like fishing. But the catfish slips off the hook. Mutual failure then may be shared or not, depending on our generosity. Or our empathy. Or our compassion. The question comes to which particular you shall do a thing and has that you taken into account how open your multiple selves are to teaching at any given moment. 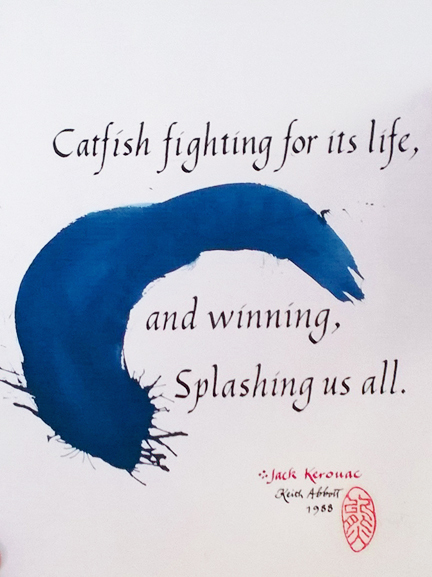 Kerouac’s generosity in his haiku toward others, toward accepting teaching from all sentient beings, even a catfish, all sentience in fact, is notable. Here he is all wet. He has assumed the ways of water. No iron wall blocks his path. Even dismantling fixed structures is whirling in the flow of birth and death; even imparting the middle way is still illusion and error. When you study thus, you are studying along with the Buddhas. When you study it as not thus, you are studying along with your self. Studying along with the Buddhas and studying along with yourself, explaining a furlong and explaining a foot; these are different. Speaking of ten and speaking of nine are different. What is “not thus”? It is your self. What is “thus”? It is the Buddhas. I don’t know that any commentary is needed on the relationship between this quote and this haiku. I’ll resist commentary, though I might get a kick out of providing one. When you measure the space in ten directions, it seems to have no partner. When you realize half emptiness, it seems like freedom and ease. Do you want to understand this principle? Dusky yellow does not stain my clear jewel; when does a clear mirror ever dream of “fine” and “hideous”? The bonuses of “this” and “that” from the previous quotation appear in this poem. This: no need to clean my shoes! That: I don’t have to wipe my feet! What a relief. Or, what a surprise! One more daily discrimination laid to rest by the forces of nature without our personal interference! Blessed rain! One of Kerouac’s delightful traits is his love of the domestic rituals, his acute observations on the ordinary rounds of a day, which are filled with such gratitude. But think: distinctions arise unbidden it seems. However upon closer examination your real mentors appear. You must remove or clean muddy shoes if you come in the house. Everyone must be taught that. When you become a parent, your child does something and you have perhaps five seconds to make the right decision or correct comment. Out of your mouth comes your fourth grade teacher or your mother or your father’s voice. This is disappointing to you more often than not. You want your own child to have your own teachings, perhaps, because you feel you can be a better parent to them than your parents were to you. Perhaps you are a dreaming mirror of your parents. Back to your shoes. Clean already or in need of cleaning? Already taken care of for you or not? And in either case are you thankful? This commentary also honors my teacher Kobun Ottawa Roshi who was always by my side to help me with my choices. No Hat Lecture was delivered during the Summer Writing Program, Naropa University, 2005. Kerouac portrait and Catfish calligraphy by the author. This entry was posted in Poetry, Poetry Society and tagged Basho, Black Bart, Buddhism, California, California Poetry, D.T. Suzuki, Dogen, haiku, Jack Kerouac, Keith Kumasen Abbott, Life Of Crime News Letter, Modern Poetry, Poetry, Poetry Blogs, Poetry Lectures, Poetry Lessons, Poetry Society, Poetry Talks, Poets, Rinzai Zen, Sakyamuni, Schools of Poetry, Shiki, Soto Zen, Ted Berrigan, The New Black Bart Poetry Society, The Paris Review, Zen, Zen Buddhism. Bookmark the permalink.